Mumbai: The Indian Institute of Technology-Bombay (IIT-Bombay), Mumbai, is likely to set up a new campus in Brooklyn, New York City. Reportedly, IIT-Bombay will establish the Centre for Urban Science and Progress (CUSP), along with five other universities. New York will be the laboratory as the six institutes (universities) develop resolutions for regenerating the city’s infrastructure, buildings and services, dating back to the 17th century. 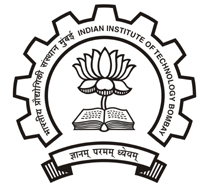 The consortium will comprise IIT-Bombay; New York University (NYU); City University, NY; Warwick University, UK; Toronto University; and Carnegie Mellon. It will set up an applied science institute offering a full-time masters programme, executive programmes and PhD, all in the areas of urban science. As per sources, New York City Economic Development Corporation (NYCEDC) had invited universities from around the world to come to NY to fuel research for existing industries and declared CUSP as a second runner-up out of all the entries it received, recently. However, the Cornell / Technion Consortium, was the winner and will set up a campus on Roosevelt Island. While discussing about the Institute’s new achievement, Devang Khakhar, IIT-B Director, said that the centre presents a new opportunity to address the challenges of mega cities. In addition, the work of the to-be-formed centre will also provide a template to address issues of mega cities in general, he concluded.